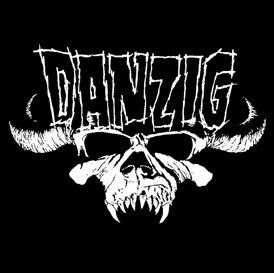 Hall of the Mountain King: Stuck in My Head: Danzig - "Come to Silver"
When most people think of Danzig, they think of a musclebound, snarling lovechild of Elvis and Jim Morrison that sings about the devil and monsters. (Well, except those who think about a city in Poland, of course.) The truth behind the skull-painted face of the Misfits’ frontman and his brooding lord of evil metal persona, though, is that Glenn Danzig has never really been the one-trick pony he may seem. Over the course of 20 years in music, he’s recorded two classical albums – one surprising fans at the height of his metal popularity – and he’s written decidedly unmetal songs for music legends like Roy Orbison and Johnny Cash. In fact, he wrote a couple of songs for Cash. The Man in Black recorded the first, “Thirteen,” for the American Recordings album, and by all accounts, liked the second one, “Come to Silver,” though he never put it on tape. It’s understandable why Cash would like “Come to Silver.” After all, it sounds like something he himself would have written, a song about the temptations of riches and how giving into that temptation can corrupt the soul and destroy lives. The first verse seems a perfect lyric for Cash, especially considering the blend of sacred and dark influences in the songs from the American albums. Danzig recorded the song himself for his 1996 techno-industrial flop blackacidevil, and it was one of the better songs on the record, but that’s not saying a whole lot. The version that appears on his recently released double album, The Lost Tracks of Danzig, is a far different song. “Come to Silver” here is the song as Cash might have done it. Danzig breaks out the acoustic guitar to strum a few chords and present a sparse, quiet version of the song that’s as dark as anything he’s done in his career. Though Danzig’s voice certainly can’t capture the world-weary, haggard sound that Cash delivered on his last recordings (who could? ), his distinctive bass does share Cash’s ability to stand on its own with little instrumentation needed. The guitar is understated, putting the focus squarely on the vocal, but the western-tinged lope of the strumming does further the connection to Cash, making the track seem a heartfelt tribute to a man who certainly displayed as much or more attitude and intensity than any heavy metal hero. 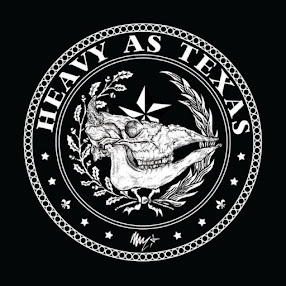 Fans of Danzig will have heard him sing slow, dark songs before, but never quite like this one. The songs on most “lost tracks” collections were usually lost for a reason. It’s an easy way to put out an album by just copying and pasting a bunch of songs that weren’t good enough to put on past records, throwaways. But sometimes you find a gem. There’s certainly nothing disposable about this performance. Buy The Lost Tracks of Danzig. Read my reviews of past Danzig records. Stuck in my Head is an occasional feature about whatever song happens to be running around incessantly in my head at the moment.